This is for those of you who have made the last post’s Strawberry Lemon Pancakes and have leftover lemons! Summer Book List: I realized summer starts like next week and have nothing to read! Here are some of the books I’ve requested from the library to read this summer. I am trying to pick between two book club books: Leaving Time by Jodi Picoult or The Immortal Life of Henrietta Lacks by Rebecca Skloot. Or pick something new from the list above? . I learned that Twizzlers are NOT candy and Dairy Queen does NOT sell ice cream. Crazy. Hmmm maybe they should make Twizzlers into a Blizzard! Well anyway… to briefly explain … as you know the FDA has definitions and regulations on our food. Since Twizzlers contains flour, it cannot be considered technically a candy. Dairy Queen’s ice cream is not technically ice cream. I knew this… but didn’t know why. It is because it only contains 5% butterfat. In order to be qualified ice cream in the USA, it must have 10% butterfat content. 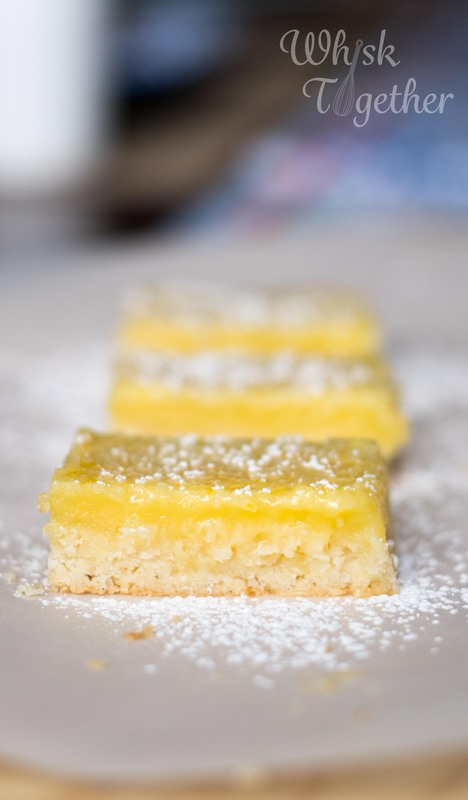 Recipe: I’ve seen and probably made those Krusteez Lemon Bars several dozen times. If it’s in a box, it must be terribly hard to make right? And it must taste better from the box, right? NOPE. These bars are easier and tastier. They have the perfect balance of sweet and tart. The crust is crispy, but not too crispy. 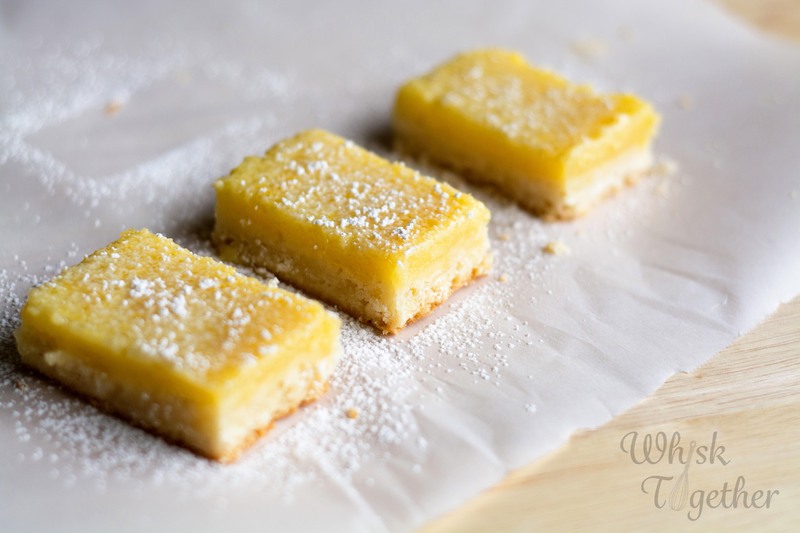 The lemon filling is soft and sweet. If you are lucky and here in the spring time, you can visit Sheridan’s Frozen Custard who makes a Lemon Lush Concrete. They freeze and put these babies into a vanilla custard concrete and mix it all hope. Oh my lemon heaven! If you want pretty powdered sugar on them to stay a while, I would recommend the non-melting sugar. I know King Arthur sells it. 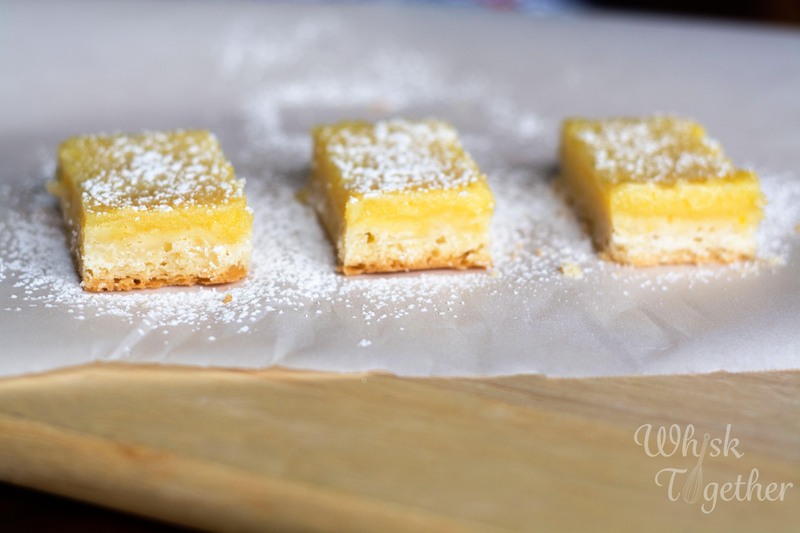 Regular powdered sugar will melt into these bars in about 15 minutes. 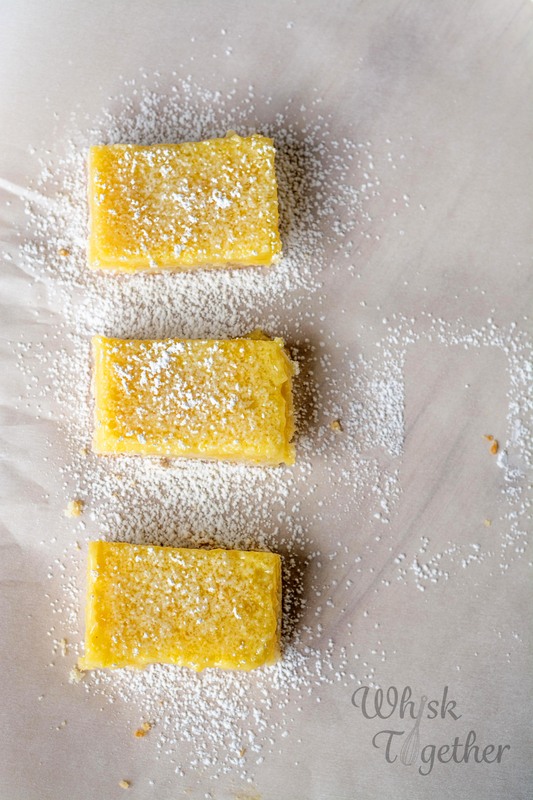 Non-melting sugar will stay pretty all day. There’s the secret! 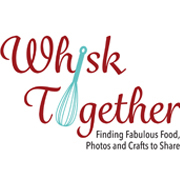 Take non stick foil or parchment paper and line a 9×13″ pan. Pour the crust into the pan and press down. Make sure you press up the sides at least 1/2″ or so as well. Pop the whole pan into the fridge for 15-30 minutes while the oven heats up. Bake crust for 20 minutes – it should be a light golden brown. For the filling: whisk together the eggs, sugar, flour, zest, juice, milk and salt. Pour filling onto hot crust. Bake another 20 minutes. The entire pan should not jiggle a lot and should feel mostly firm when pressed with your finger. Cool completely. Then cut and serve with sprinkles of powdered sugar.